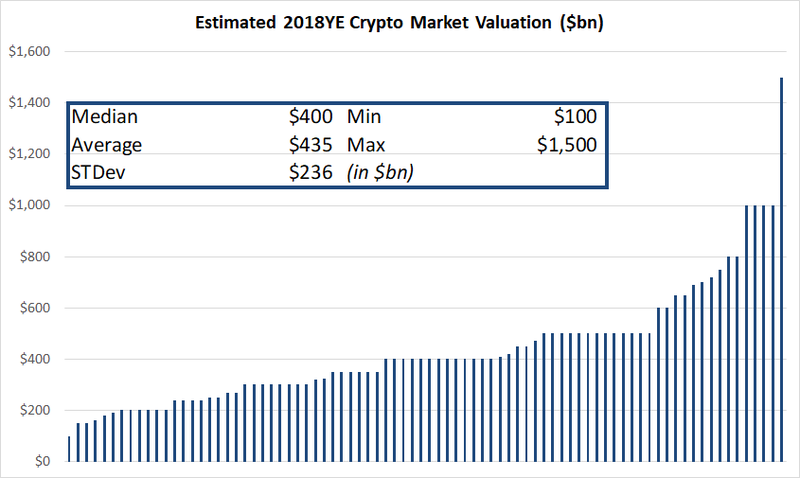 Q1: The crypto market is valued at ~$240bn today. What is your prediction for where it ends 2018? 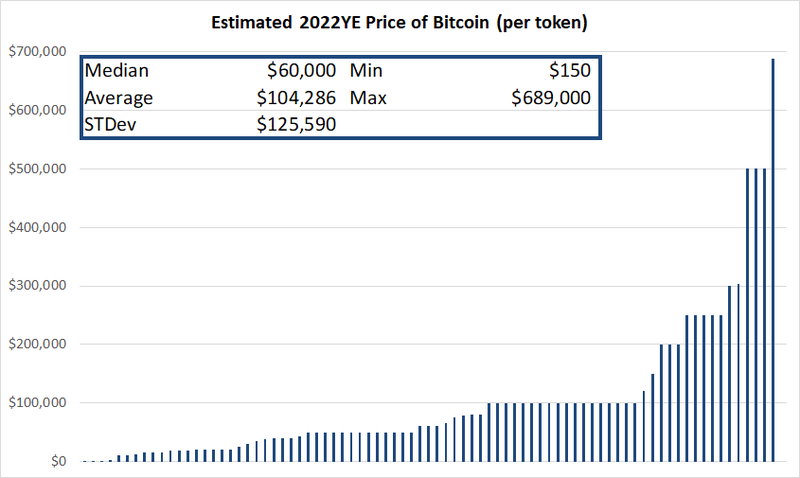 It is worth noting that per my last crypto sentiment survey in April 2018, the median 2018 crypto market cap prediction was $750bn. Today’s median 2018 crypto market cap prediction has decreased 47% to $400bn. 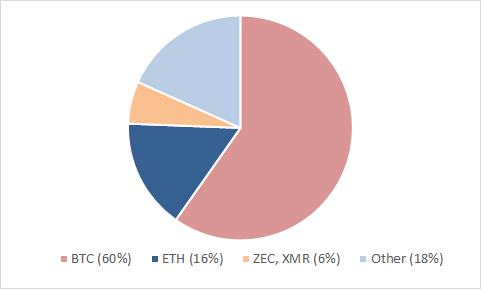 Over the same period, the actual total crypto market cap decreased from $300bn to $240bn, or 20%. Thus, the 2018 year end sentiment has decreased disproportionately more than the actual market cap decline over the last three months. Q2: If you could own just one crypto asset (public or private) for the next year, what would it be (note: this was an open answer field question)? Q3: What category of assets will get the best returns over next 3 years? Q6: What’s your personal % allocation?